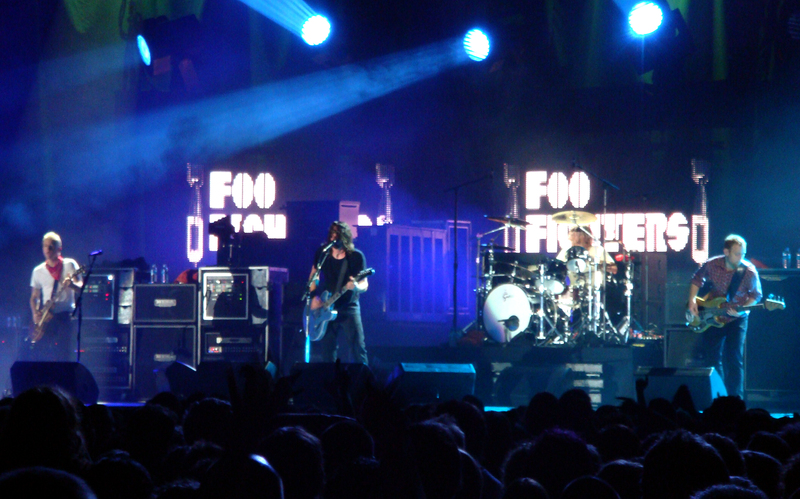 The Foo Fighters were founded by David Grohl the drummer from Nirvana in 1994. Over the years the Grohl had to "Learn to Fly" with other band members. The current band lineup for the Foo Fighters consists of Nate Mendel, Pat Smear, Taylor Hawkins, and Chris Shiflett. The Foo Fighters have released multiple studio and live albums and have even won a Grammy Award for Best Rock Album. The Foo Fighters are heading back on tour for a show you will not want to miss. The new tour was announced right on the heels of their new album release "Concrete and Gold" and the single that blew up airwaves "Run". It's been "Everlong" since the Foo Fighters have been on tour so don't miss this opportunity. Grab your best "Monkey Wrench" and be "My Hero" by checking out the amazing seats we have for every upcoming tour date. Buy tickets today for any Foo Fighters concert from Rad.Tickets before they sellout.